Home » Mavericks, 9th Motorized Recon Bat. 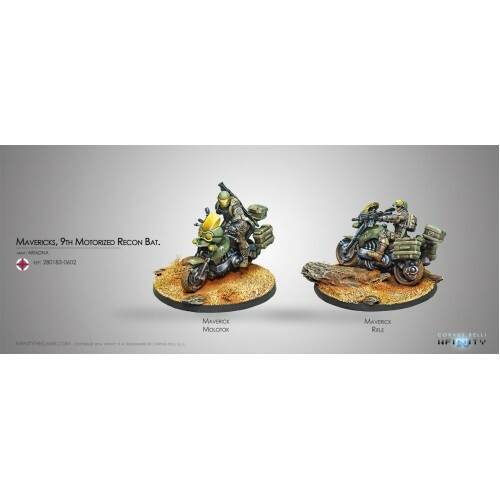 You have seen this unit previously in the USAriadna Army Pack, and now you have it released separately and in a box with two Mavericks! One with a Molotok, a high rate of fire weapon to cause a high amount of enemy casualties and the other one, a Forward Observer with a Rifle, is a fast Specialist Operative, ready to accomplish the mission's objectives at any moment.